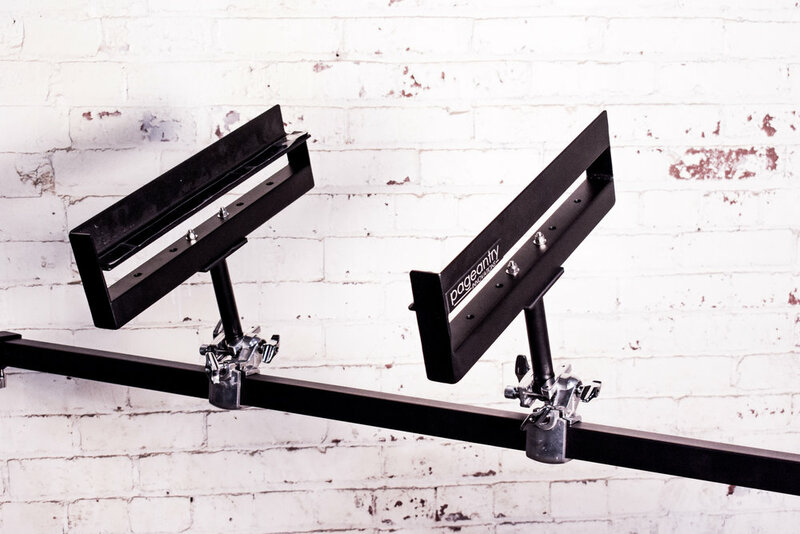 A two piece accessory, ideal for mounting larger electronic instruments such as the malletSTATION, Zendrum or larger synthesizers. Removable mounting posts allow for flat or angled mounting positions. Fixed bottom stops are on both end pieces preventing the instrument from falling. Velcro strips come standard with all Accessory Holder models to give your instrument extra security while mounted.